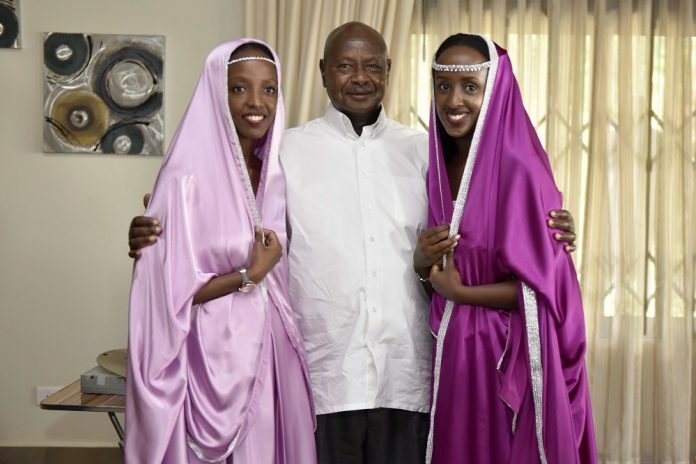 The President Yoweri Kaguta Museveni poses for a photograph with the bride Juliana (left) together with her sister during the giveaway (kuhingira) ceremony of their daughter Julianna to her fiance Phillip at their home in Kazo on Saturday 31st March 2018. 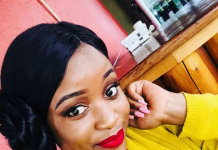 Juliana Nasasira, daughter of former Works and Transport Minister John Nasasira has finally legalized ‘nocturnal games’ with her lover, Philip Karunume. 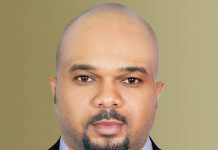 The groom, Karunume, is son of Wycliffe and Jessica Mulindwa of Kashongi, Nyabushozi County in Kiruhuura district. 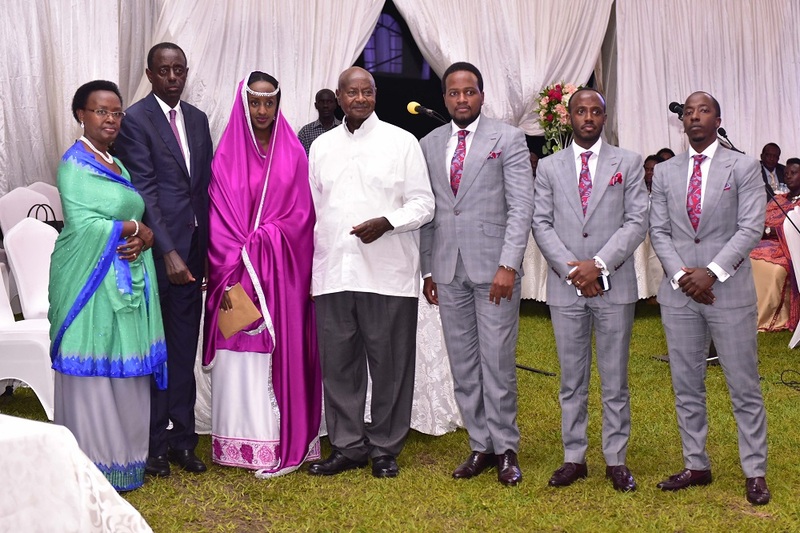 Juliana and Philip held their introduction ceremony (Okuhingira) that took place Saturday at their home in Bugarihe village, Kazo county in South Western Region which was attended by President Yoweri Museveni who donated cows to Juliana Nasasira. Several dignitaries including Prime Minister, Dr. Ruhakana Rugunda, Chief Justice, Bart Katureebe, Cabinet Ministers and Members of Parliament, attended the ceremony. The President Yoweri Kaguta Museveni in a group photograph with the family former Minister John Nasasira and his wife Naome during the giveaway (kuhingira) ceremony of their daughter Julianna to her fiance Phillip (on his left ) and his entourage at their home in Kazo on Saturday 31st March 2018. 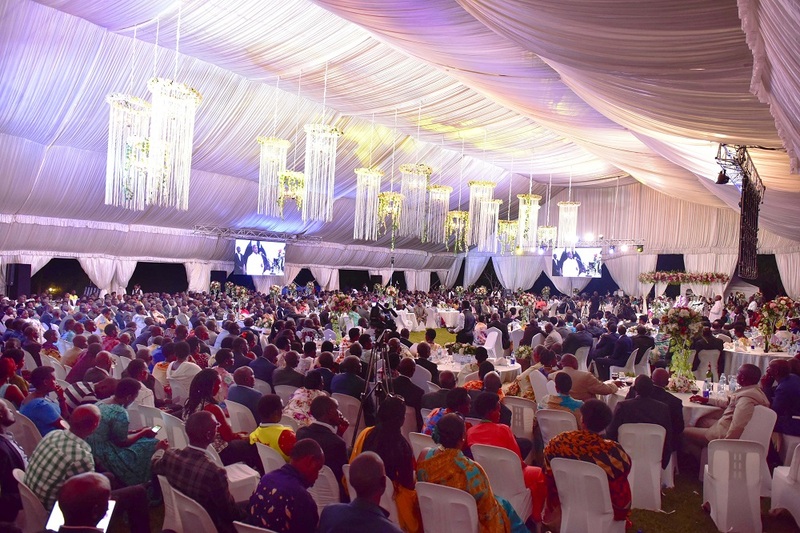 During the ceremony, President Museveni commended the transformation of the people of Kazo County in particular and Kiruhuura District in general following his efforts of urging them to develop since 1967. “I thank God for having enabled the transformation of the people of Kazo County and Kiruhuura District at large. I strived to usher in development in Kiruhuura in the 1960s when I worked as a licensed teacher in the area. I am also pleased to note that during the NRM leadership, the children are now getting married,” he said. Museveni observed that prior to the transformation in the district, the people of the area, who are mainly cattle keepers, were most of the time leading migratory life. 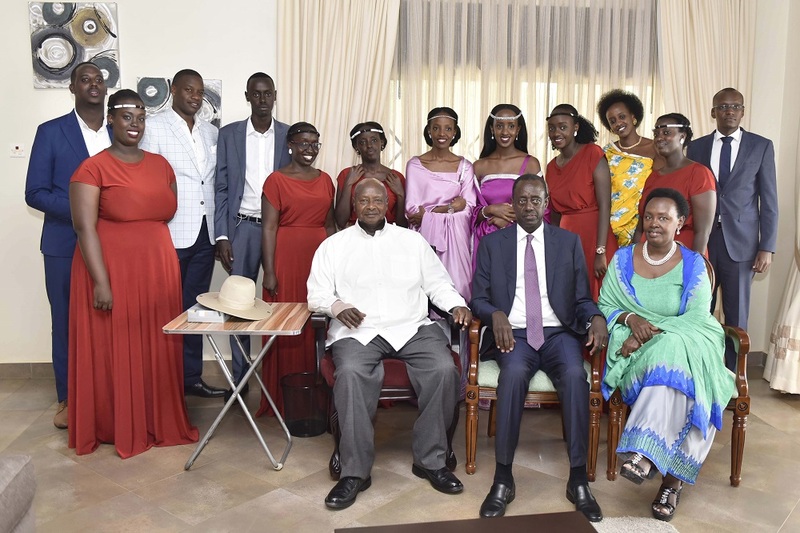 The President Yoweri Kaguta Museveni in a group photograph with the family former Minister John Nasasira and his wife Naome during the giveaway (kuhingira) ceremony of their daughter Julianna to her fiance Phillip at their home in Kazo on Saturday 31st March 2018. President Museveni also paid tribute to ex-minister Nasasira for spearheading the construction of the Lyantonde –Kazo – Ibanda road that has been extended all the way to Fort Portal in Kabarole District thereby easing transport in the area. He said that plans are in advanced stage for the construction of the Kazo – Nyakariro – Kabagole – Kyegegwa – Hapuyo road. He revealed that the road was a historical facility that was used by the freedom fighters in 1981 during the launching of the protracted armed people’s struggle. On animal husbandry, President Museveni observed that there is a challenge of ticks that are resistant to acaricides noting that the cause stems from the practice of prolonged use of one type of acaricide. 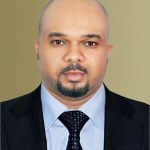 He criticized Veterinary Doctors for failing to advise livestock farmers over the correct use of acaricides. 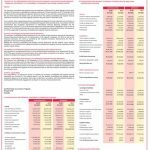 He also blamed Resident District Commissioners and other Government officials for failing in their respective roles adding that their negligence has led to the suffering of livestock farmers. Museveni did not exonerate farmers from negligence as far as the emergence of ticks that are resistant to acaricides is concerned. The President Yoweri Kaguta Museveni speaking to the guests at the home of former Minister John Nasasira during the giveaway (kuhingira) ceremony of their daughter Julianna to her fiance Phillip at their home in Kazo on Saturday 31st March 2018. President Museveni, however, urged them not to lose hope because Ugandan scientists had been sent to Cuba to carry out research with the aim of finding the best tick control method. He reminded livestock farmers that shifting cattle without permit is illegal and Government will not tolerate such conduct. He urged livestock farmers to follow strictly follow veterinary guidelines.